The concert on Saturday night in the Kennedy Center Terrace Theater was a public event motivated by some very personal concerns. 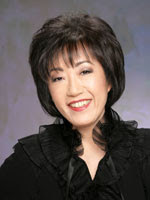 Vivian Kim, the National Chair of the National Association of Professional Asian-American Women, organizes an annual memorial concert in honor of her daughter, Susanna "Susie" Kim, who died of cancer in 2000. This year's concert ended with the conferral of a Lifetime Achievement Award on the headline performers, the Korean-born piano duo of Yong Hi Moon and Dai Uk Lee, as well as several other awards. The evening began with an introductory program that hovered uneasily between memorial service, with several pop music tributes, and concert. The high point was the fluffy, fluty soubrette voice of soprano Amy K. Kwon, who gave reputable performances of Violetta's Act I scena from La Traviata and "Mein Herr Marquis" from Die Fledermaus. Tenor Daniel Heyk Chae had a heroic but overly shouty tone in his selections, with occasional scratchiness that seemed connected to his frequent exits between numbers, presumably to drink water. After intermission, the Moon-Lee duo presented a varied program of unusual repertoire for two pianos. What follows is an appreciation, rather than a review, of their performance, because of a conflict of interest (Ms. Moon had the misfortune to have me as an undergraduate piano student at Michigan State University 20-some years ago). She and her husband are a well-regarded piano duo, and her practical instruction, while recital partners and I worked on four-hands or two-piano pieces, is among the best memories of my work with her. Moon and Lee's coordinated, finely tooled rendition of the first suite for two pianos (op. 5) was even able to make me love Rachmaninoff. As Ms. Moon explained in her introduction, each of the movements is based on a poem, read to the audience by Mr. Lee. Dedicated to Tchaikovsky, the piece was conceived by Rachmaninoff as "a fantasy for two pianos consisting of a series of musical pictures," although it has since been known simply as a suite rather than by the title he chose originally, "Fantaisie-Tableaux." The Barcarolle was a languid, gently rocking voyage, with well-timed hand-crossings coordinated by the two players. The second movement ("Night for Love") took its epigraph from Lord Byron as inspiration, depicting a mixture of sighs and the trills of nightingales (the piece would make a nice comparison to Messiaen's birdsong music), rising to a heaving climax. Omitting the third movement ("Les Larmes"), the duo gave an ecstatic, hammered performance of the final movement ("Pâques"), taken at an exceptionally rapid tempo, with the clammering tintinnabulation of ringing church bells echoing the Easter chant "Christ Is Risen." Two final selections were introduced simply as "dance pieces," beginning with a sultry Tango by Stravinsky and concluding with a stately "Grand Waltz" from Eugene Onegin, both arranged for two pianos by Victor Babin.